Tel ‘En Ẓippori is located along Naḥal Ẓippori in the Lower Galilee, 5 km from the modern city of Nazareth. 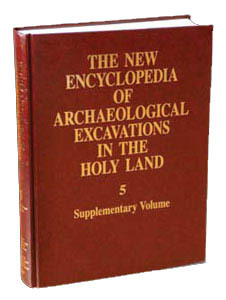 Initially surveyed by Z. Gal of the Israel Antiquities Authority, it was excavated for five seasons, from 1993 through 2000, by the Sepphoris Regional Project under the direction of C. Meyers and E. Meyers (Duke University) and J. P. Dessel (University of Tennessee). Tel ‘En Ẓippori is approximately 3.7 a. in size. Adjacent to one of the only spring-fed streams in the Galilee, it is surrounded by excellent agricultural land. The northern and western sides of the site have been artificially cut, probably during the last 200 years, in order to increase the area of the valley under cultivation. The tell has over 4 m of deposition and is comprised of two terraces with a 2 m vertical face separating the upper terrace (field I) from the lower terrace (field II). Field III is located along the western edge of the tell. Eight occupational strata have been identified, with occupation beginning in the Early Bronze Age IV and continuing from the Middle Bronze Age II/III through the Iron Age I (late eleventh century BCE). A gap in the stratigraphic sequence is followed by a brief reoccupation in the Iron Age II (ninth century BCE).